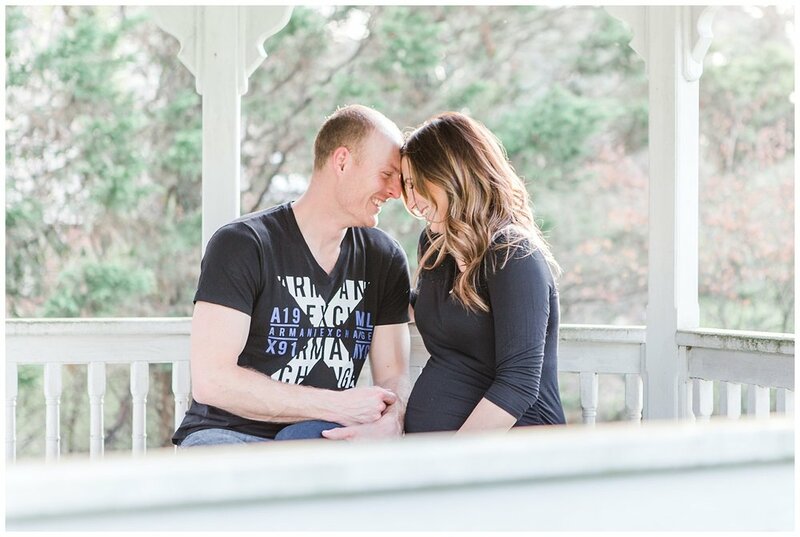 Andrea and Adley are one of the cutest couples I know, and I couldn't have been happier when Andrea said she wanted me to photograph their maternity session. She's one of those girls who can dress up and put on 5 inch heels when 8 months pregnant and look absolutely stunning, you know, like a magical pregnancy unicorn. I may be slightly jealous, because I most definitely was not doing that when I was pregnant with my 2. But I digress. And actually, Andrea's more typical attire is a black shirt and jeans, so we made sure to capture that in her session too. In the days leading up to their session, I was getting really nervous about the weather. Every day I checked the forecast, and each day it kept looking more cold and rainy on their session day. 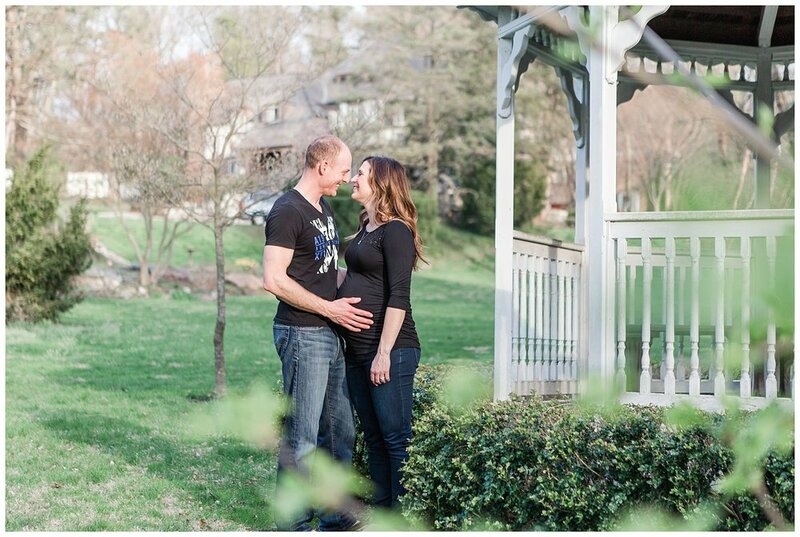 So we made the call to move their session up a day, and I am so so so glad we did! The day of our session turned out to be one of the warmest days to date this spring, accompanied by the most beautiful golden hour before sunset! I couldn't be happier with how this session turned out! Andrea and Adley made my job so easy, they were such naturals, and the love they have for this baby already is easy to see. 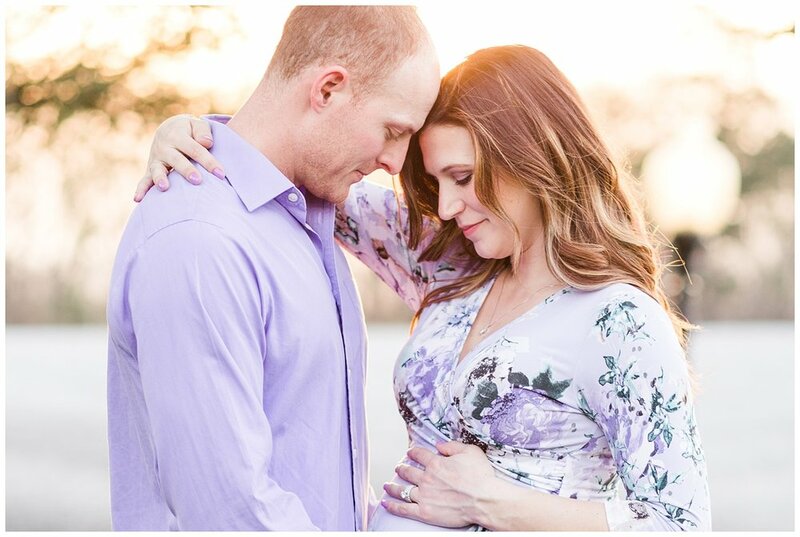 They are going to be wonderful parents, and I'm so excited for them and this new chapter in life! 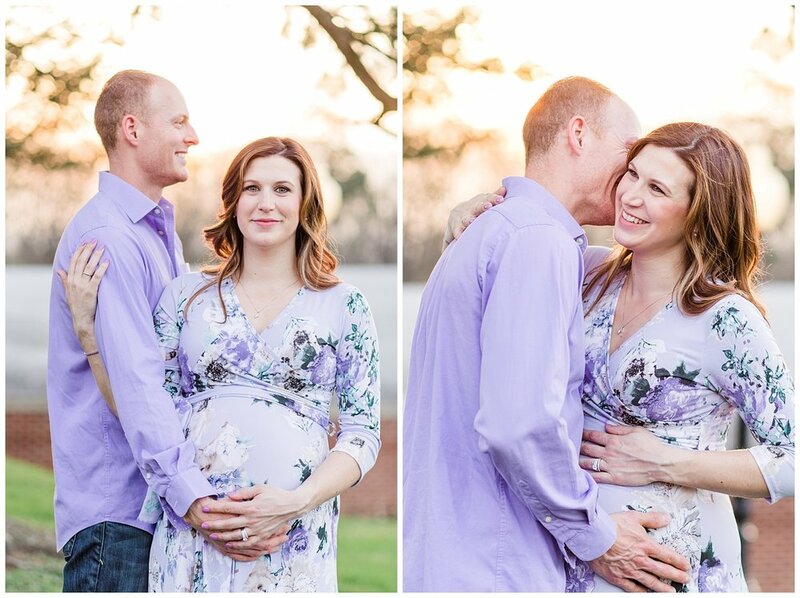 Here are a few (okay, more than a few) of my favorites from their session...it was so hard to narrow down the favorites! After spending some time doing pictures at their place, we headed over to a nearby park. Even though things are only starting to get green and bloom around our area now, and there's still lots of brown outside, we did manage to find a couple pretty spots for pictures. At the park, we did stumble upon a couple trees in bloom and just waiting to be used as a beautiful spring backdrop, which turned out lovely! I mean, stunning, really. You guys totally killed it! And that sunset glow! I couldn't have asked for a more perfect night for this session! Thanks again for having me capture these beautiful moments with you guys! I'm so happy for you and excited to see you as new parents!